St Martins House integrally supports the life of Leicester Cathedral, providing an office base for Cathedral staff, from the Dean downwards, and also the Song School where the choir practice. Indeed one of the joys of Reception is the occasional procession of a robed choir and clergy to and from the Cathedral for the choral services. 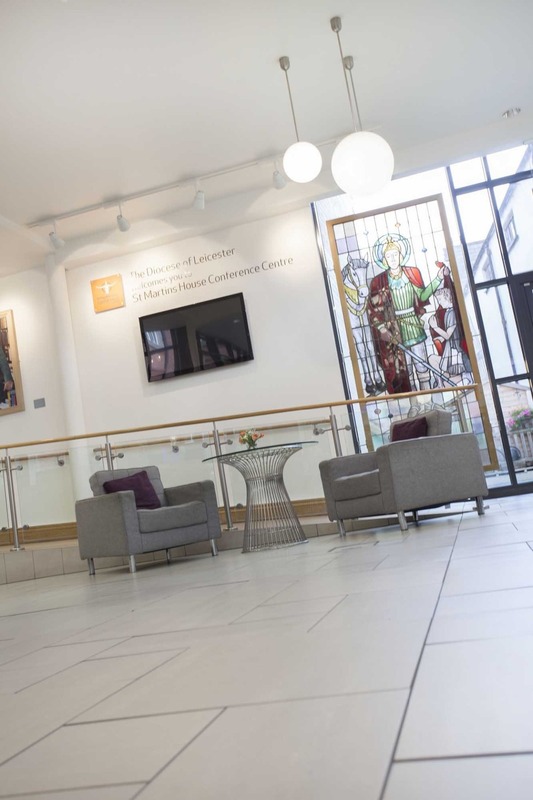 Alongside that, the north end of the building also provides a base for the staff who keep the Diocese of Leicester’s central services going – and the conference rooms also frequently in use for training events and meetings in connection with the life of the church generally. The Grade II listed building that is now St Martins House was for over 130 years a place where the youth of Leicester were educated. It began its life in 1877 as Wyggeston Hospital Boys School - itself on the site of the much older Wyggeston Hospital (founded in 1513) - which then moved out to the west of the city. During this time it was put to use and adapted by Alderman Newton and Leicester Grammar Schools. In 2008 it was acquired by the Diocese of Leicester so this historic Leicester landmark could be preserved. In January 2011, after considerable investment and a major refurbishment, St Martins House Conference Centre was launched to service the business community of the East Midlands and beyond, with a unique offer tailored to suit today’s business needs. This offer was created by, and is delivered by, a team of hospitality, conference and event specialists. 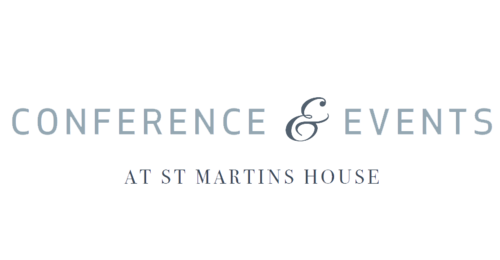 St Martins House Conference Centre stands in the heart of the historic quarter of the city of Leicester. Beneath it are the foundations of the fort that was the basis for Roman Leicester, and on top of that lie medieval and more contemporary remains. 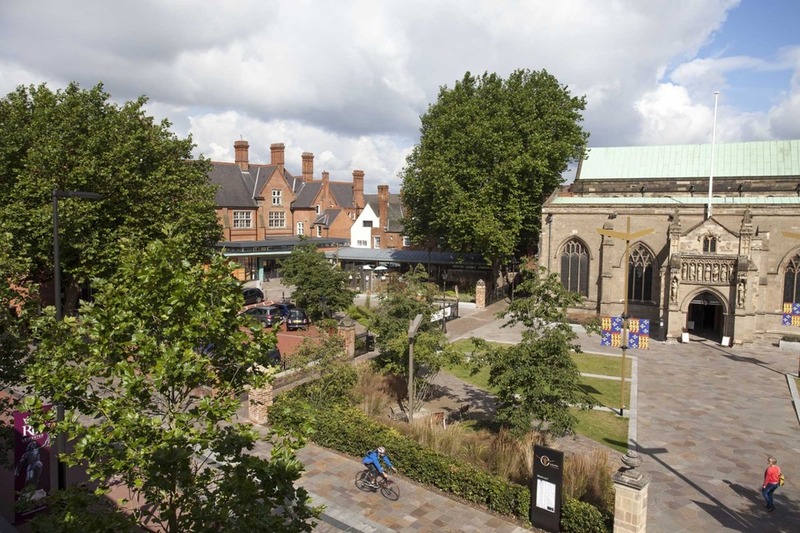 It sits right next to the Guildhall and St Martin’s Cathedral and within a few minutes’ walk are some of the hidden gems of Leicester’s heritage – from the Jewry Wall to the Magazine, and from St Nicholas Church to the Castle. 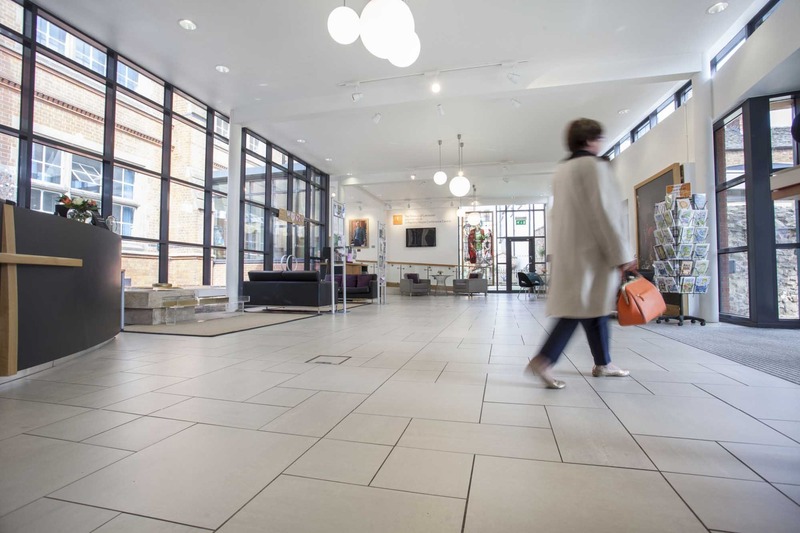 St Martins House contains 1,000 sq m of superb fully refurbished office space, in the heart of the historic quarter of Leicester, at a very competitive cost. All offices come fully equipped with temperature control, data cabling and BT ‘phone lines installed. Every office has its own drinking water point. A reception and premises management service is included in the service charge, as is the provision and cleaning of toilets. Tenants also have privileged access to the Conferencing and Catering facilities of St Martins House. 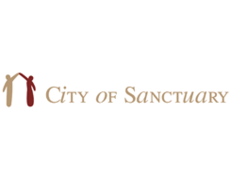 Central to the vision of St Martins House is being of service to the city – especially the more vulnerable amongst our population. This is focussed especially in the David Wilson Foundation Centre – named in recognition of one of our major donors – which has its own independent access and provides a base for a wide range of activities. All the following voluntary and charitable groups operate from our Donaldson Centre and Booth Hall, serving different sectors of the wider community in partnership with St Martins House. 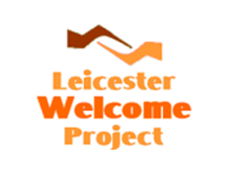 gives immediate practical support to asylum seekers living in and near Leicester, with gifts of food, clothes and toiletries. 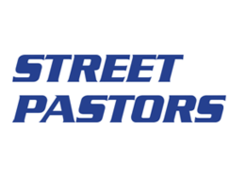 work on the streets of the city centre, mainly during weekend night-times, supporting young people and others in need of counsel, friendship or practical support. give social and educational support to asylum seekers and refugees, offering friendship, learning opportunities, English language classes, casework support and much more. 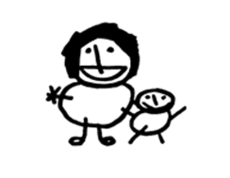 offers supervised or supported contact between children and a parent or family member they are not living with, for reasons of family breakdown.